As the four brothers carried the coffin out of the church, the organist played a sad and measured dirge. The four men in black walked in slow time to the organ’s sorrowful dirge as they carried the body of their beloved deceased friend. A large gathering of mourners slowly walked behind the coffin as the dirge played on and filled the air with the funeral song that only aided in helping tears flow. Quiz: Try again! What is a dirge? A slow, sad death song, usually played at funerals. A bond between close, life-long friends. A feeling of painful grief and loss. Dirge Urge I don't know why, but after I failed three tests on one horrible day I had this incredible urge to play a dirge on my guitar, and so I quickly gave in to my dirge urge--soon mournful sounds began filling my room. The original dirge was based upon a verse from the fifth Psalm (a lament), which begins Dirige, Domine “Direct, o Lord…;” dirge is simply a variation of that frequently used first word Dirige. 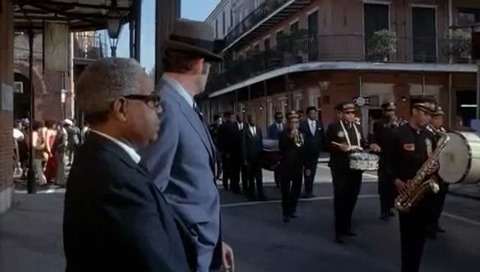 James Bond This funeral march features a Dixieland dirge for the dearly departed.